WASHINGTON, D.C. (May 17, 2018) -- The National Association of Black Journalists (NABJ) will host its 2nd annual Black Male Media Project -- an initiative that aims to paint a complete and positive picture of the lives of African American men in media and society -- on Saturday, June 2, 2018. NABJ has teamed up with TEGNA Foundation and Procter & Gamble to host programs targeted to improve the coverage of, and employment prospects for, black men in media. Participants will promote the project on social media with the hashtag #InspireBlackMen. 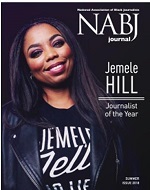 "NABJ's Black Male Media Project continues to combat the blotter-to-mugshot images black men face to create a fresh and real view of black men in America and across the diaspora," said Sarah Glover, NABJ president. "This year, we plan to continue expanding our efforts with national partners to help build trust of black men in communities nationwide." More than 20 NABJ affiliate chapters will host the Black Male Media project in various cities across the United States, including Detroit, Atlanta, Memphis, Charlotte, Baltimore, Chicago, Dallas, Los Angeles, Miami and Pittsburgh. The initiative is designed to offer support, training and mentorship opportunities for black men working in media and those who aspire to pursue careers in journalism. 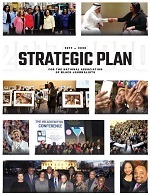 "Reflecting more accurate, positive portrayals of black men is critical to addressing the conscious and unconscious biases that underpin many of the inequalities that plague our communities," said Damon Jones, Procter & Gamble Global Communications Director. "Representation Matters. We're proud to partner with NABJ in ensuring the voices and perspectives of black men are present to help shape these narratives, in newsrooms and boardrooms, now and for generations to come." The NABJ Black Male Media Project also takes an in-depth look at newsroom diversity. NABJ affiliate chapters will discuss race and the perception of black males in the media. The Detroit Chapter NABJ is hosting a panel discussion with African American men who mentor young black men. Teens will also serve on the panel. The digital component will be presented at the NABJ convention in Detroit from Aug. 1-5 as the second phase of the project. Members will showcase positive images to be displayed during the NABJ Convention & Career Fair at the Detroit Marriott at the Renaissance Center. More details about the digital photography project and a workshop at the national convention are forthcoming. The concurrent programming produced by NABJ affiliate chapters includes panel discussions, workshops, networking and skills-based training. The program is for black men of all ages and women who support them. The Black Male Media Project launched in 2017 and served more than 500 black men in its first year. For media inquiries and general questions please contact NABJ Council of Presidents Chair Siobhan Riley, NABJ Region 3 Director Ken Lemon or Black Male Media Project Committee Member Ernest Owens at InspireBlackMen@gmail.com . For partnership inquiries please contact NABJ Development Director Kaylan Somerville at ksomerville@nabj.org.